Mayhem breaks out in New York’s Museum of Natural History as Ben Stiller’s night security guard Larry Daley and his historical pals embark on an epic and thrilling expedition to London. Directed once again by Shawn Levy, “Night at the Museum: Secret of the Tomb” is the third and most exciting of the hugely popular family films about Larry’s adventures with legendary leaders, warriors, mythological figures and dinosaurs. An ancient tablet brings the artifacts to life when the sun goes down. But the magic has gone awry and the characters are malfunctioning, with catastrophic (and hilarious) results. Larry and his friends have to take drastic action. Robin Williams again portrays US President Teddy Roosevelt in one of his final film roles. Ricky Gervais is back as museum director, Dr. McPhee. 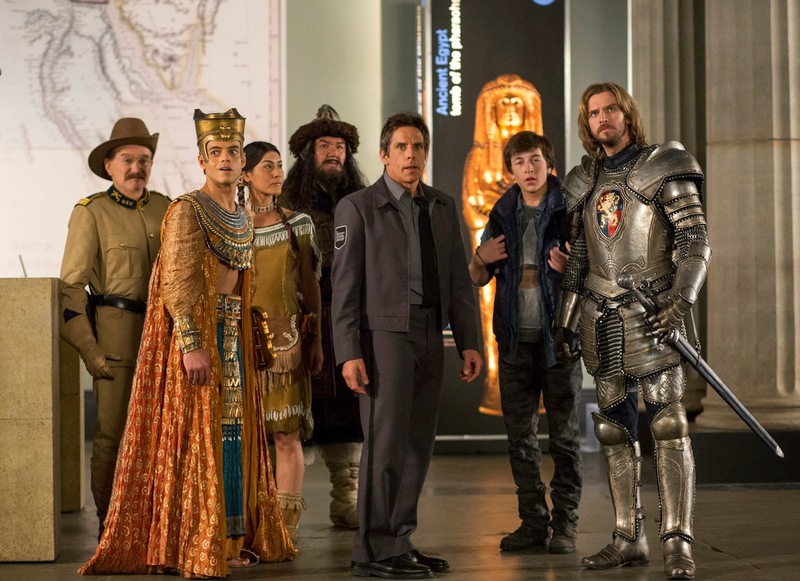 Greeting the year 2015 with lots of action and adventure for the entire family, “Night at the Museum: Secret of the Tomb” opens January 8 in theatres nationwide from 20th Century Fox to be distributed by Warner Bros.